Will this item fit your vehicle? To ensure You order the correct part for your car's particular make and model, please pay careful attention to the Item Specifics and Description. If You are not sure about what exactly You need - feel free to contact Us every working day (except on weekend) and get professional assistance within 24 hours - that way You will get the right part and do not need to deal with returns - save your time! We only ship to the address specified on eBay during the checkout. If we ship your item to your old or invalid address and it returns back as unclaimed in its original condition, the item's cost refund will only be issued. Currently, we do not ship to APO/FPO/PO Boxes. 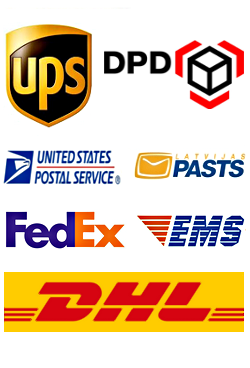 Most of our items are shipped to US customers via DHL, FedEx or USPS mail (with delivery confirmation/tracking number); Europe and other international orders - Deutsche Post, Standard Post, UPS, DHL, EMS, DPD etc. Please see the Shipping and Payments tab above for all details. Packages sent by courier post require signature. We will combine shipping cost on Multi - Purchases. Before payment please contact us for further instruction. Please note that, depending on your geographic location, not all delivery methods are available. Some regions may require a minimum surcharge for shipping by courier. Shipping time during holidays may take longer than normally. International customers are responsible for all customs, duties, taxes and brokerage fees to be paid to the courier or government. If you need our assistance, please contact us, we will be happy to help and do our best for you! If you see that the package that courier tries to deliver is damaged, please fill up the claim form or do not accept it. NOTIFY US right away, we will arrange a replacement/reimburse your order A.S.A.P. To avoid initiating an unpaid item case, please pay within 4 days. 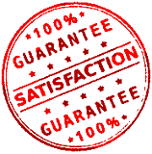 We will start processing your order once your payment has been cleared and verified. All returns must be pre-approved by eBay messaging system before you ship any item back to us. 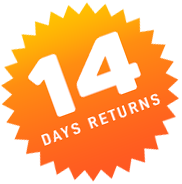 We will gladly accept your return within 14 days of the delivery date. Items must be returned in new unused condition and contain all original materials (if included). All returned items will be tested before refunds are given. Once we have received your order, a positive feedback will be automatically sent to you in gratitude. Please contact us if you have not received our feedback, we will gladly correct this and send it manually. We would also greatly appreciate if you leave us a positive feedback with 5 stars rating. If you feel that we deserve a neutral or negative feedback, please, CONTACT US before leaving any feedback, give us a chance to make things right and leave your impression most positive! Our goal is to make your choice easier and save your money. We serve customers world-wide by offering quality goods at unbeatable prices, all while maintaining a focus on superior customer service. Give us your trust and we'll help you to repair or update your car! Detroit saw Honda debut two variants of its next generation Civic. Set to make their debuts in the North American market in the spring, the cars sport tighter, more aggressive styling with 'clean-yet-powerful' lines, according to the Japanese automaker. Taking inspiration from its sibling, the Accord Coupe, the Civic Coupe will retain the familiar silhouette of the outgoing model, with a refreshed bumper treatment and more aggressive character lines around the car. Further evidence of Porsche market saturation: the new Porsche 911 Speedster, announced today ahead of its debut at the 2010 Paris motor show. Porsche has dabbled with speedsters before, of course. Most notably with the 356 - and Stuttgart's playing homage to that car with the new 2010 911 Speedster. On Tuesday, Dodge revealed the specs and equipment of the 2013 Dart GT ahead of its official unveiling at the Detroit auto show. For the moment it's the top Dart trim to be officially confirmed, although the automaker said it was looking into an R/T version. What we didn't know then is that a leaked picture of what looks to be the Dart SRT had been floating around a Neon internet forum for a few days.